Download software and games from one place. Access Google search and Gmail account directly. Can recover and resume broken downloads. A torrent client to download videos or music. Presents fast and safe web browsing. Browses or searches the information online. Block website banners, pop-ups, advertisements. Tool that helps you to manage the information you find on Internet. It provides a more intuitive reading experience and easy social network sharing. Desktop browser for the NewYork Times newspaper. Downloads binary files from Usenet servers, repairing, and deleting garbage. Feed Notifier displays pop-up notifications on your desktop. Comes in handy for users who work with Google search on a daily basis. View blazing 3D content created with Unity. Batch download, conversion and playback of most video formats. Video and Voice Plug-in is required to make video calls to GMail contacts. 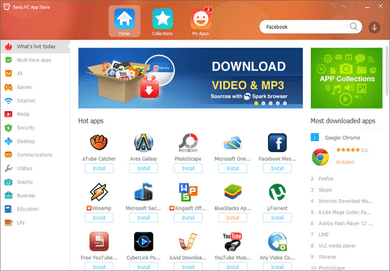 Application that enables you to surf the Internet. Grab videos from a large variety of websites. A convenient solution for downloading media from URLs and torrent files. Ummy Video Downloader will help you to download HD video or MP3 from YouTube.